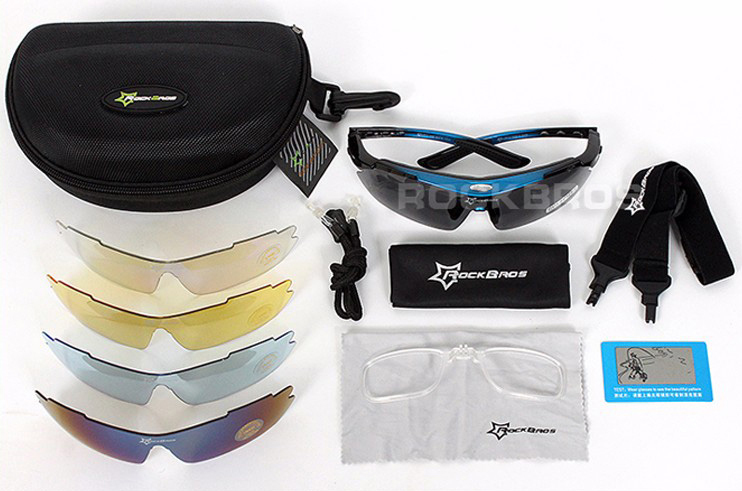 ROCKBROS polarized sports men’s sunglasses. 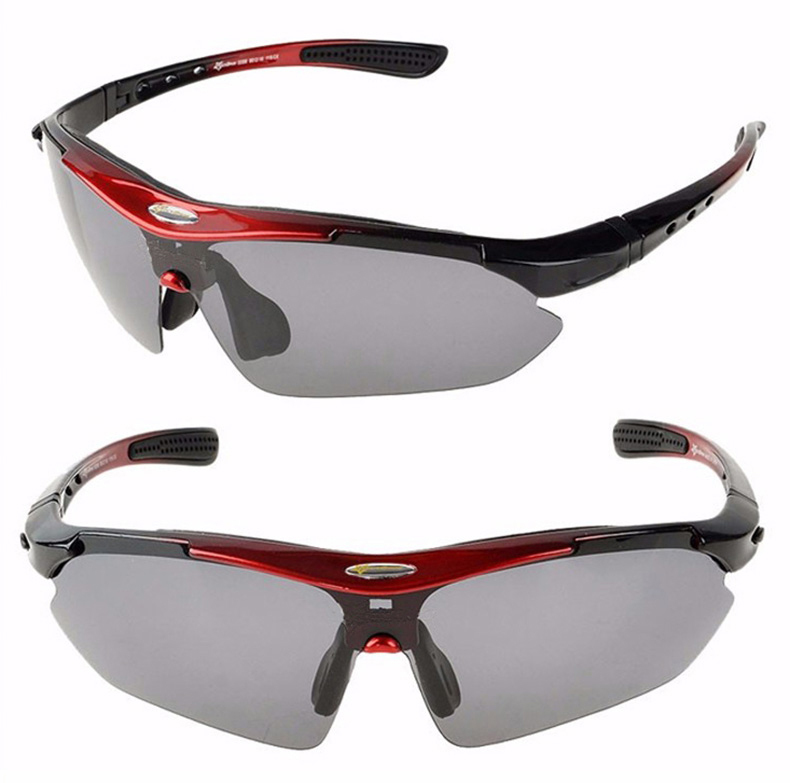 A great choice for cycling and outdoor sports. 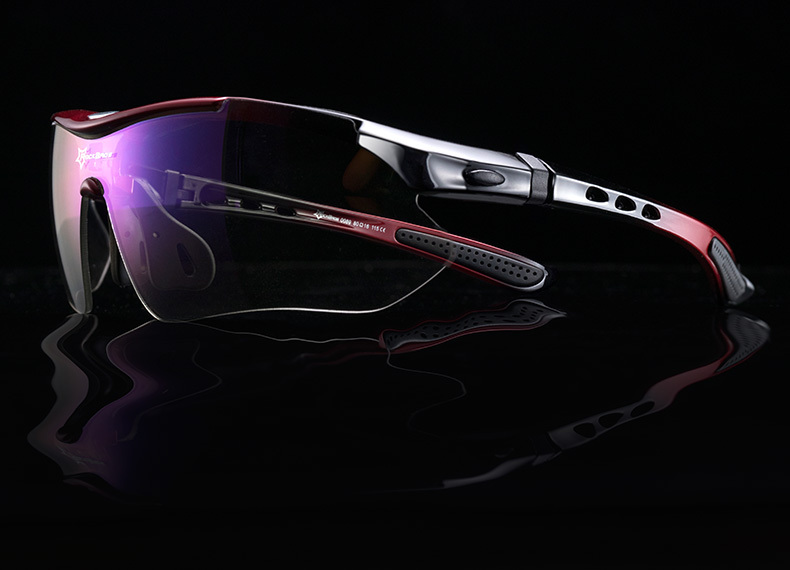 Its polarized lenses are made of polycarbonate, using an injection process that ensures optical correctness which decreases eye fatigue and increases comfort. 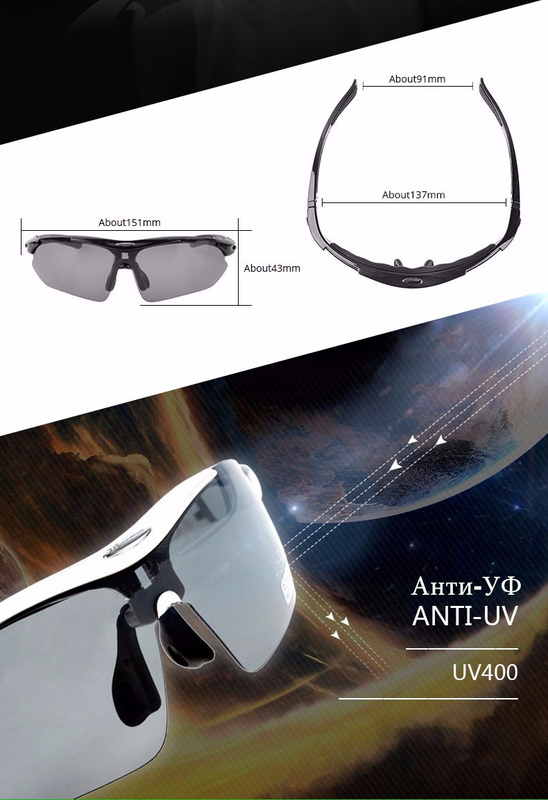 The lenses block 100% of UVA, UVB, UVC rays as well as harmful blue light to 400nm. 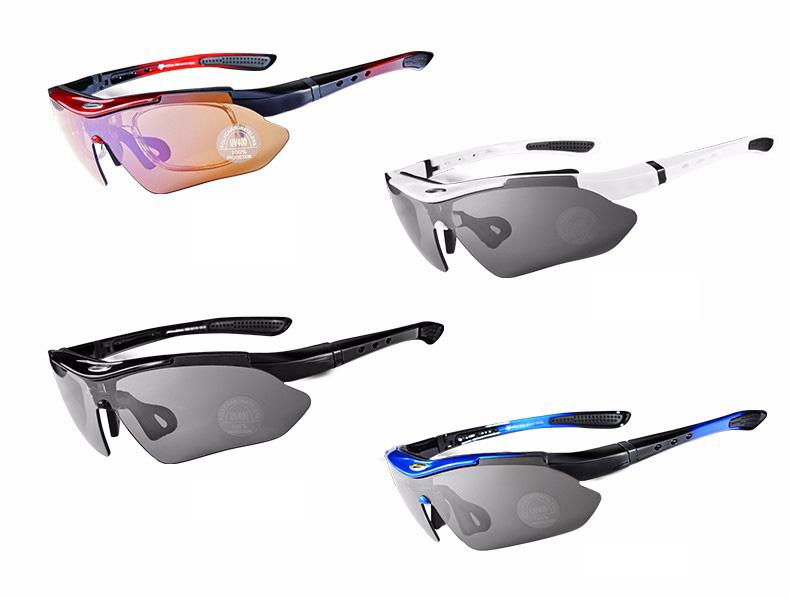 Interchangeable lenses – pick your style from 5 lenses of different shades and colors. 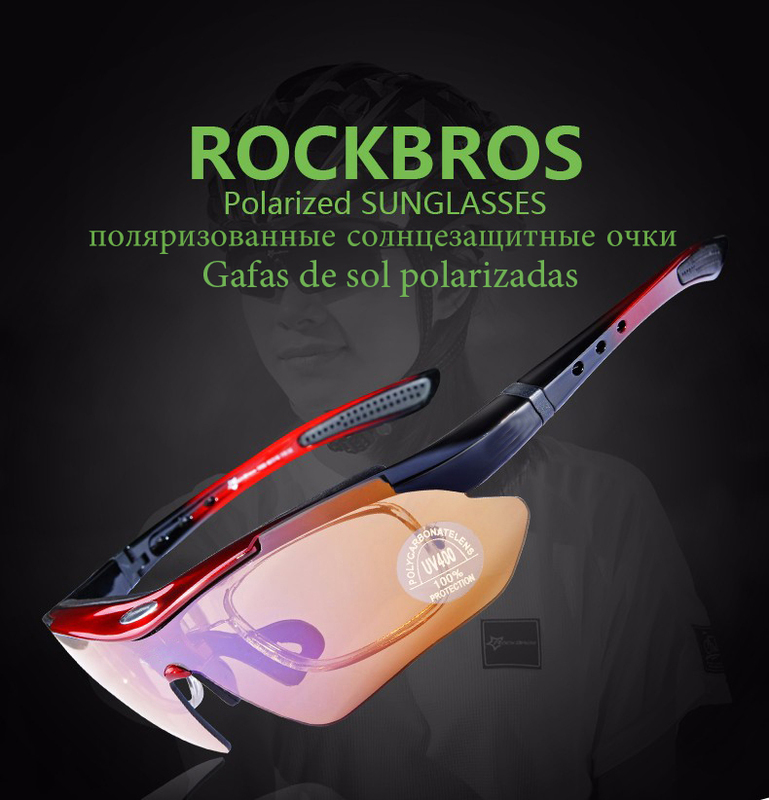 ROCKBROS Polarized Sports Men Sunglasses. 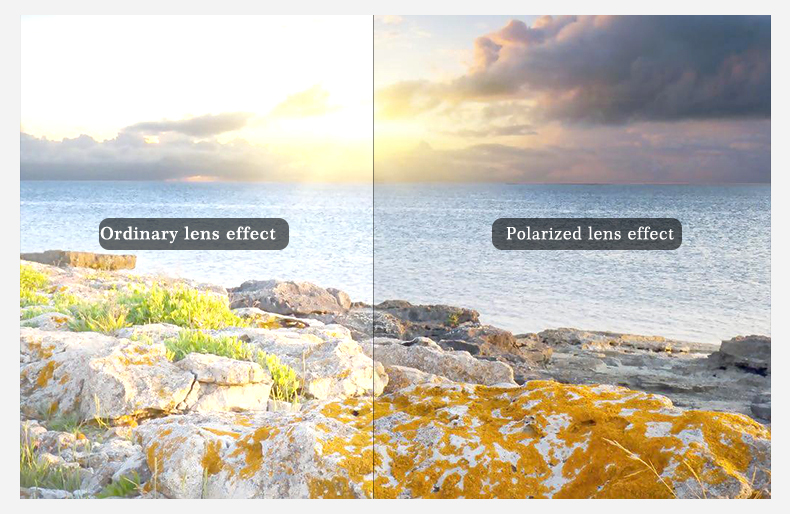 Polarized lenses Polarized lenses are made using an injection process that ensures optical correctness which decreases eye fatigue and increases comfort. 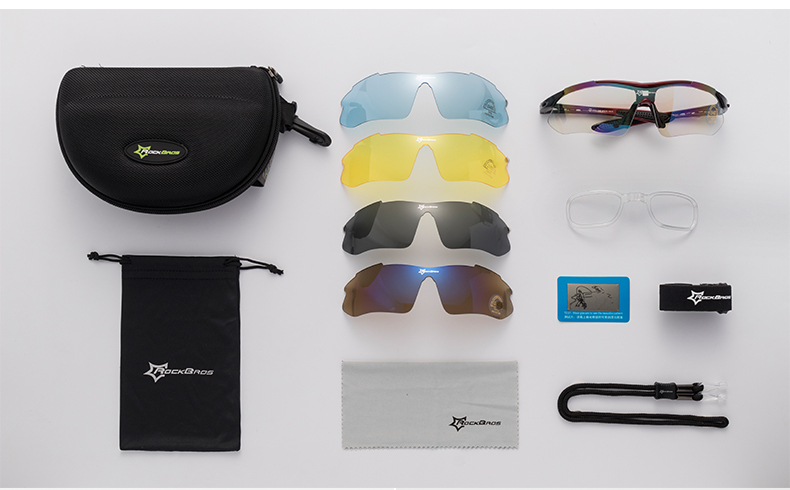 UV protection All of our lenses block 100% of UVA, UVB, UVC rays as well as harmful blue light to 400nm. 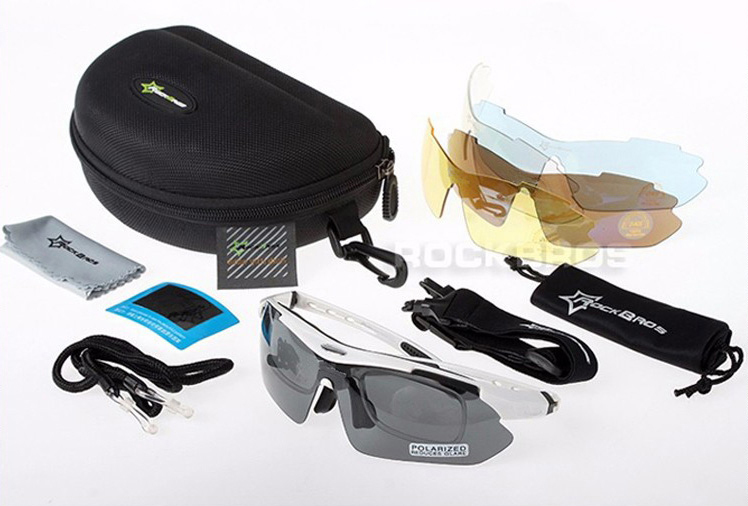 Interchangeable lenses Pick your style from 5 lenses of different shades and colors. 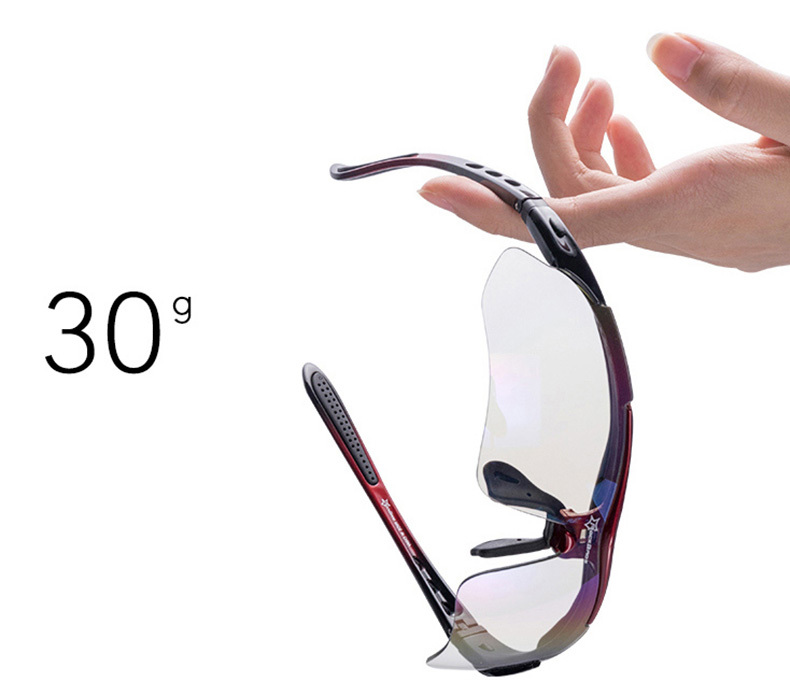 Ultra Lightweight Incredibly lightweight design of the PC frame offers a comfortable experience – you’ll forget you’re wearing them! 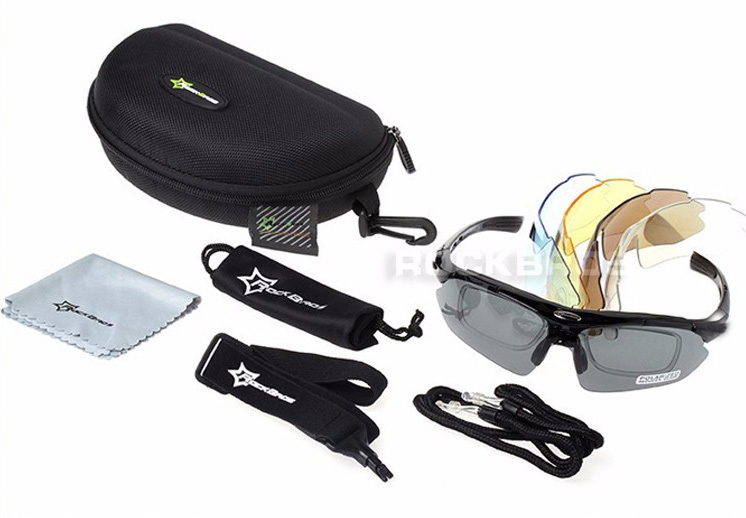 1 glasses case with cleaning cloth, glasses bag, glasses rope, glasses band, polarized lens test card, pair of polarized lenses with 4 pairs of interchangeable original lenses, Inner frame for shortsighted lenses. 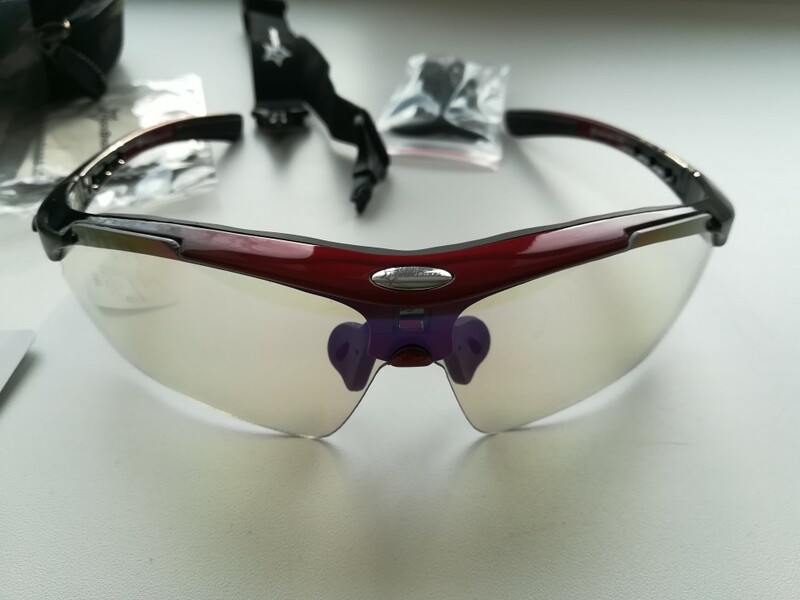 Tip: Rotate the frame foot then it will be open, if you have any confuse please contact with us firstly. 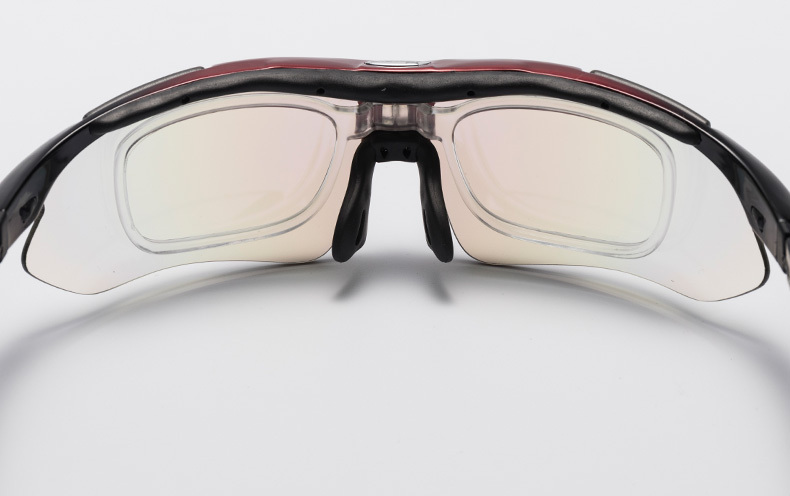 The technology used in our Interchangeable lenses. 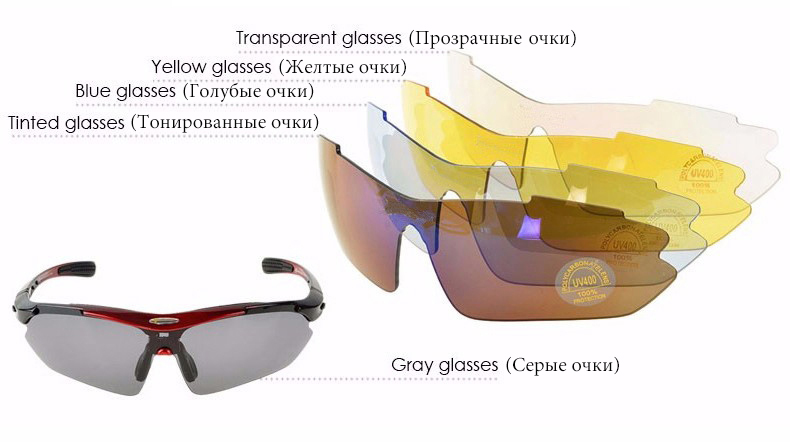 Each different lenses have different shades and colors. 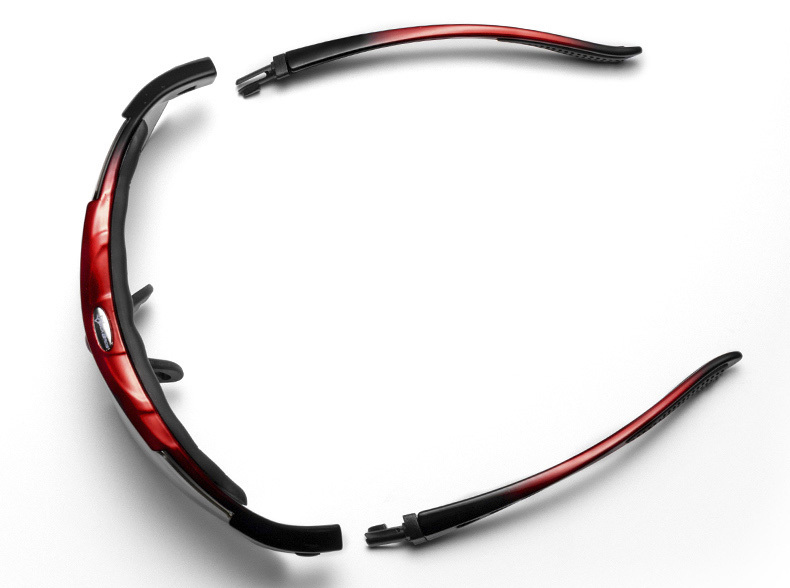 This allows you to choose one that fits you best. 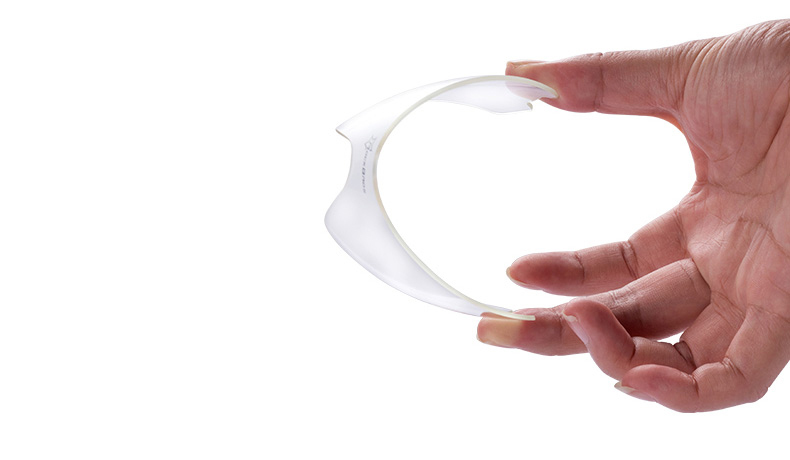 The logo on the lens will be removed. Come on time. Well packed. Very much. Very decent points. 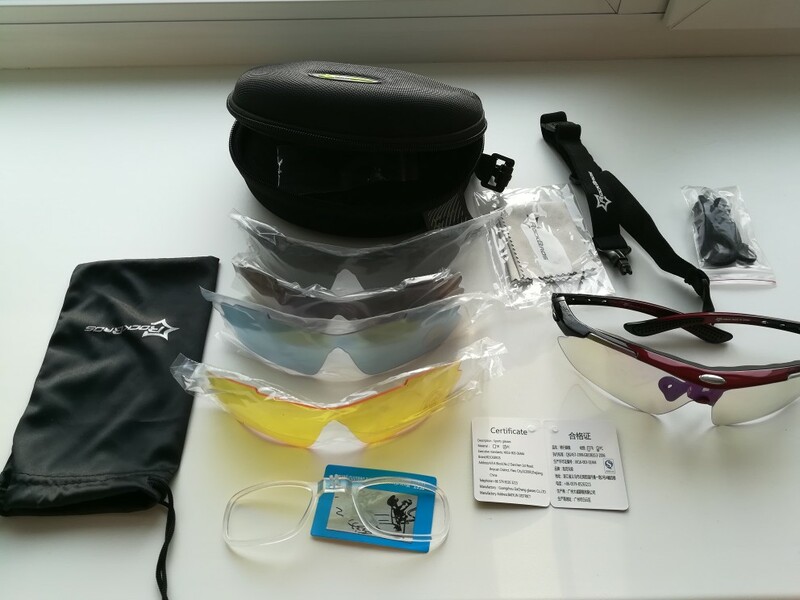 Of 5 complete lens really need transparent, yellow and dark polarized. 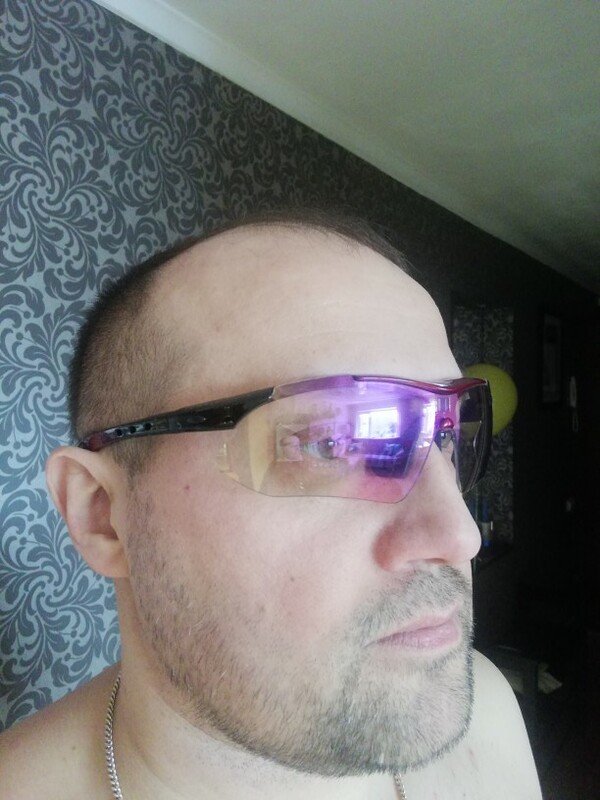 Good quality frame. It Is Important that after a long socks eyes not tired. 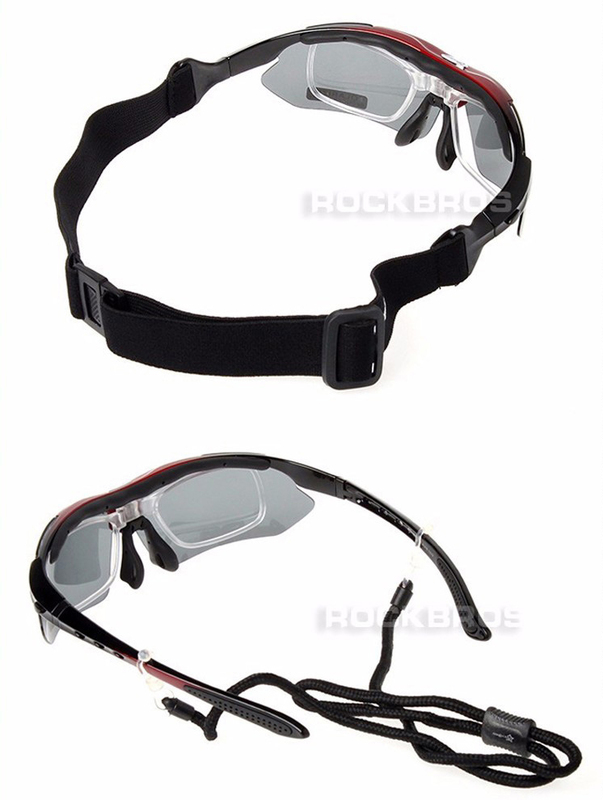 Sit comfortably on the face, wide nose can be adjusted within narrow limits. 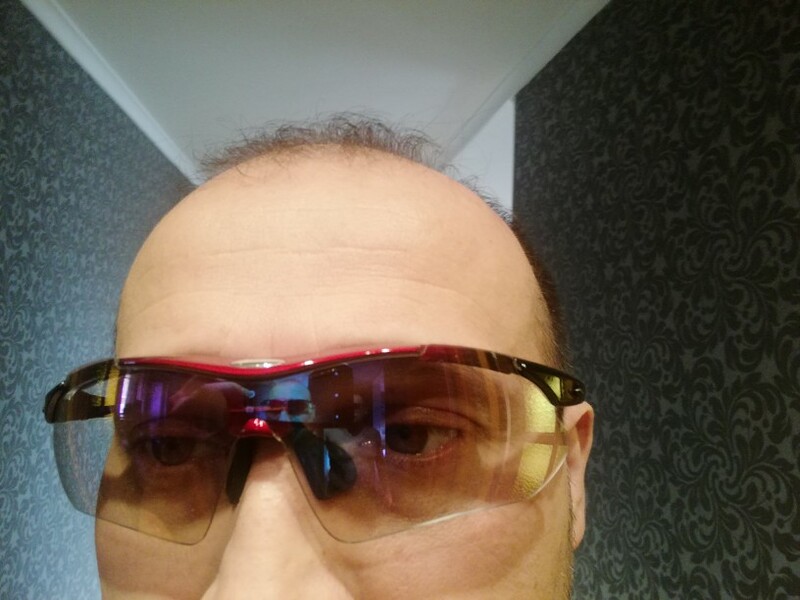 When shaking points do not fall and at the top of the frame is present projection, tight pressing points to the forehead and prevent the ingress of sweat into the eyes. Hard cover has a strong smell Sent quickly, came a week for 4. Recommend. Accurate explanation. 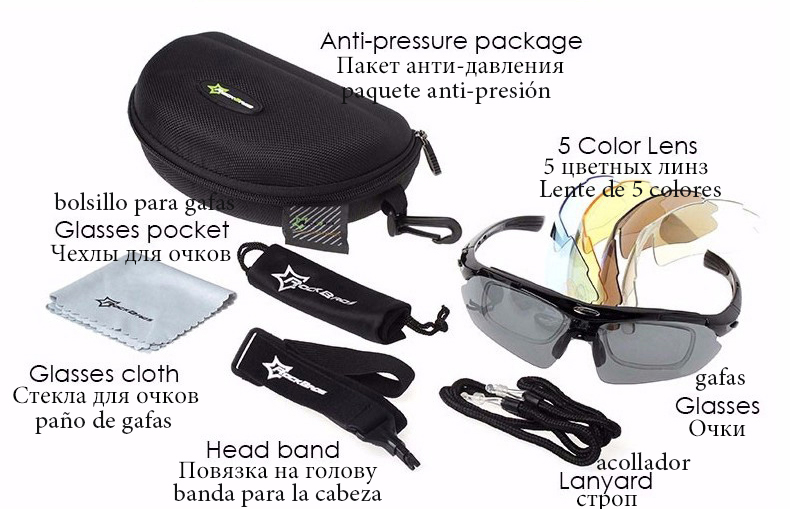 Excellent quality, super product. Recommend store and goods. 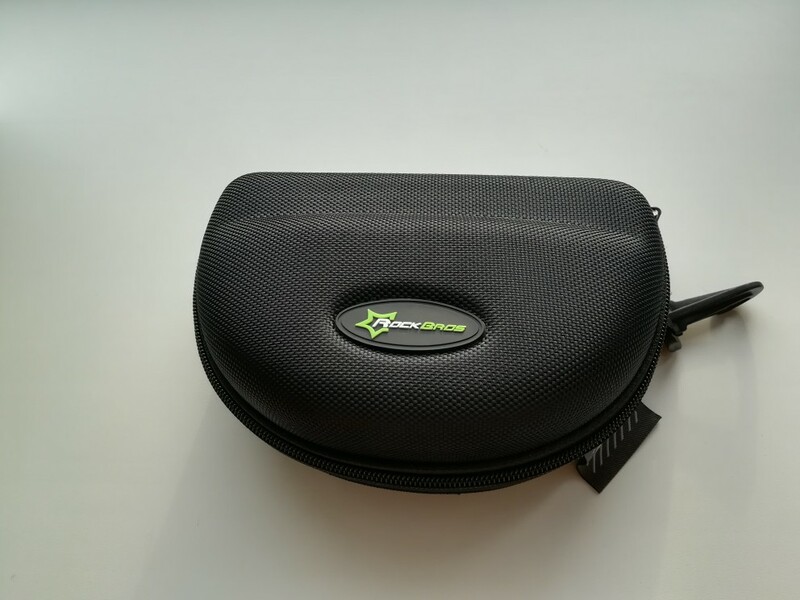 Quality price Ratio A 10.La was very quick delivery, store recommend,’ll buy. Good Points! 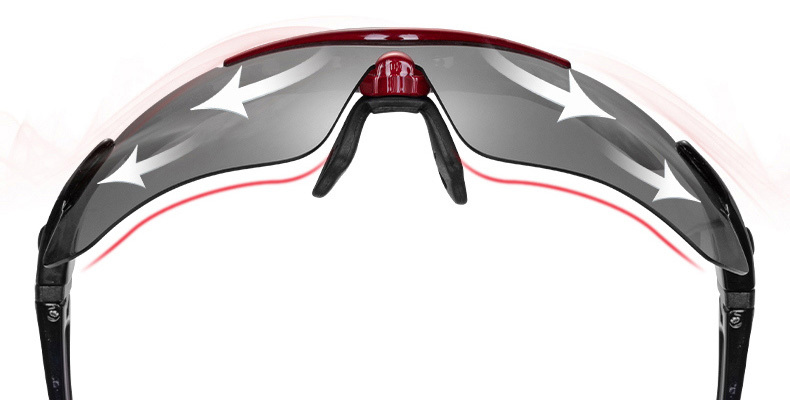 Comfortable, lightweight, sit tight. Recommend! Recommend this shop-impeccable service and fast shipping goods. Thank You Very Much!